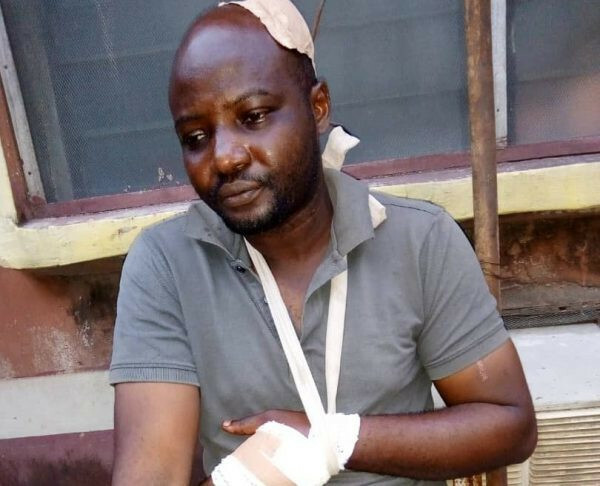 According to a report by Daily Trust, a photo Journalist with Security Express Magazine, Mr. Oluwasegun Falola has been attacked by armed men at his No. 17 Bajulaye Street, Shomolu Lagos residence. It was learnt that the journalist escaped death by the whiskers when the hoodlums stormed his apartment at about 3am on Saturday, armed with sharp cutlasses and other dangerous weapons. Narrating his ordeal, Falola who was still in pains as at yesterday, said he was sleeping when the attackers unexpectedly forced the door to his apartment open. According to him, he was alone at home when the robbers came as his wife and children had gone to spend the weekend with her ageing grandmother in Surulere, Lagos. 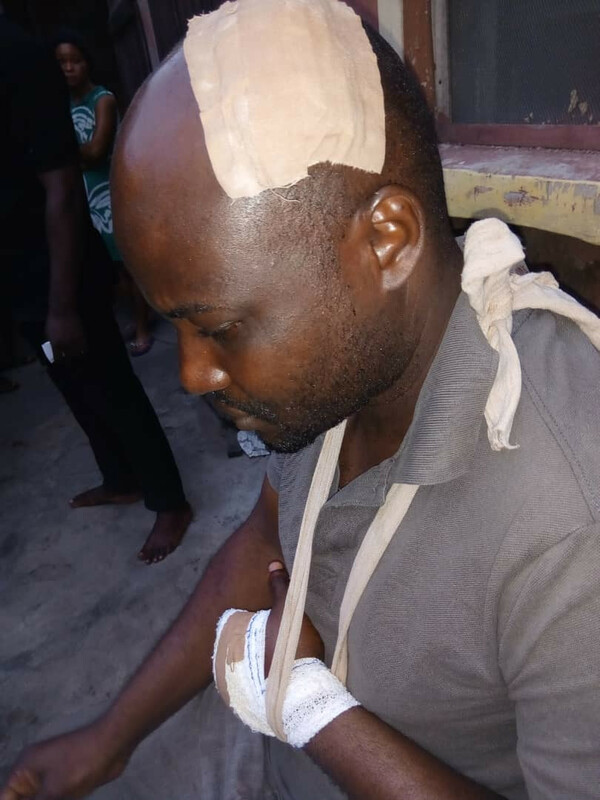 As the robbers gained access into the apartment, Falola was immediately ordered to bring cash but as soon as he told them that he had no cash at home, one of them attacked him aiming to tear his head with the cutlass. As Falola tried to defend his head with his left hand, the cutlass cut his palm. His fingers were not spared as the sharpness of the cutlass enabled easy access thereby rendering one of the fingers almost dead clinically according to what his doctor told him. As the photo-editor was wrestling with the last energy in him, blood was gushing from his head, hand and other parts of the body with matchete cuts, the robbers also demanded for his bank ATM which they collected along with his laptop, three telephones, video camera, computer hard drive and other valuables before exiting his apartment. The bandits thereafter, locked his door from outside to ensure he did not come out. With the fear that he might easily die as he was fast losing blood, the Security Express staff decided to take a survivalist decision by breaking his window and jumped out from there not minding whether he would meet the robbers outside as they were still robbing his neighbours. As he managed to escape from his compound, he ran straight to a nearby hospital where he promptly admitted for treatment. It was about 10am on Sunday before his wife Mrs. Oluwabukola Falola, was informed of the development. When Daily Trust visited him at the hospital yesterday, Falola is fast responding to treatment but that he is being troubled over the loss of his N50,000 and ATM to the robbers. He is still at a loss as to how possible it was for the robbers to have access to his account when they did not bother to ask for his pin number as at the time they took the ATM card.